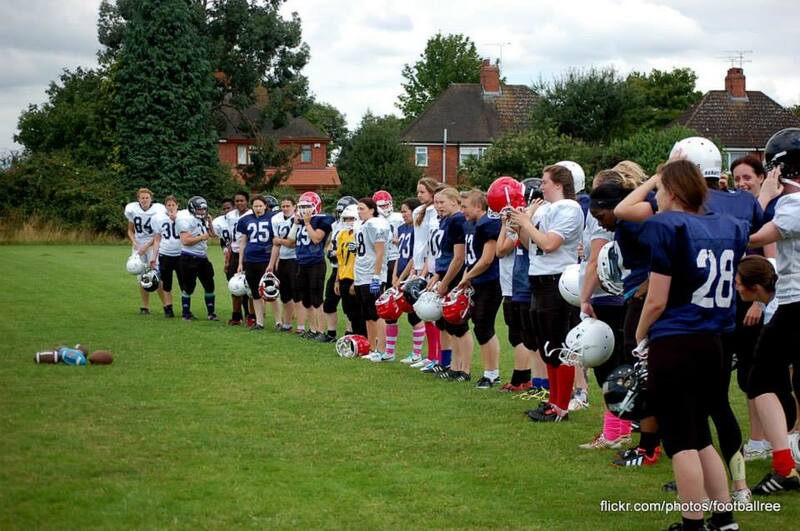 British American Football Associaton has hosted five ‘Development Days’ with incorporated GB Trials. Open coaching clinics allowed any female aged 16+ with an interest in football to come along and try it out. "We have had fantastic numbers with more new faces showing at each day as well as our dedicated women who play for the current teams. The ladies were put through their paces by GB Women’s Head Coach Jim Messenger and Deputy Head Coach Richard Ward. The GB coaches were ably assisted by a number of guest coaches from various teams who are are keen to learn more about women’s football and were happy to also share their knowledge." says Rhianna Dawes. 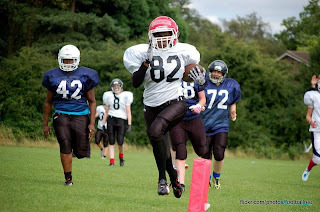 The morning sessions featured a fast paced introduction and review to all the skills of football including running with the ball, hand-offs, shotgun snaps, passing, catching, tackling, blocking and coverage skills. The afternoon session saw the introduction of tactical play, both offense and defense for all the players, leading on to a full 5v5 tackle game. Jim Messenger said: “The ladies have put in a lot of effort and really showed they can play this game. We had a mix of experienced and first-time players. The influx of more new female athletes, particularly those with significant women’s rugby experience, means the standard is growing at a fast pace. It has also been an excellent learning process for the coaches as we broaden our experience of working with female players.